Every project starts with your needs: you tell us what you want. And we do it. Our employees find the best building method for every kind of cable line or pipeline. Under the supervision of our site manager, everything is being implemented – of course on time. You don’t have to do anything – except giving the final approval. That’s it. We from the Demir Group like to rely on ourselves. In-house we develop innovative technologies that master our daily challenges. We find the perfect method for every pipe: we take care of drawing in telecommunication and energy cables in routes and tubes, the blowing in of fiber optic, copper, broadband and telecommunications cables, pulling in multiple pipes, incorporating micro tubes (SpeedPipes). No longer used communication and energy cables will be extracted professionally and disposed of. Enough theory: this is what it looks like. After the laying and drawing in our work is not yet done: we will bring everything into service, too. 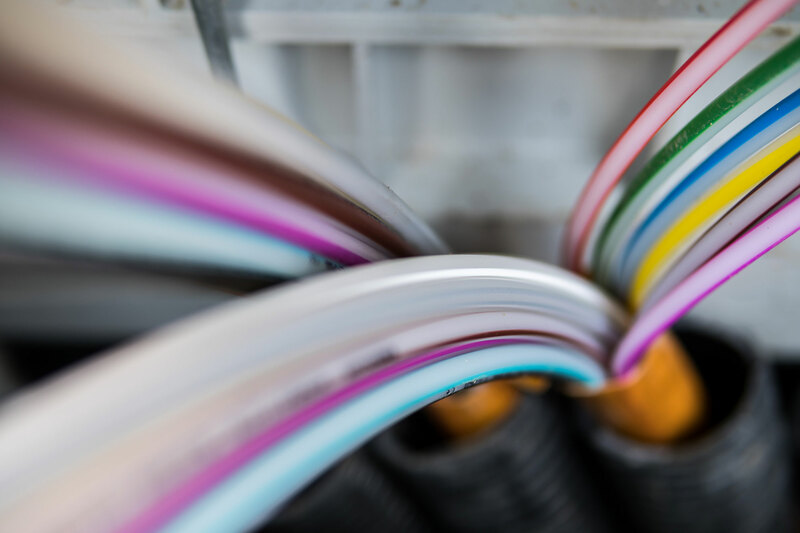 Our cable installers are also specialized in the installation of copper and telecommunication cables, optical fiber cables and power cables in low and medium voltage networks. And if something doesn’t work, we also take care of the fault detection and the troubleshooting. At morning, at noon, at midnight and anytime in between.